Universal Genève Compax 22278 in stainless steel manufactured in the mid 1940’s. 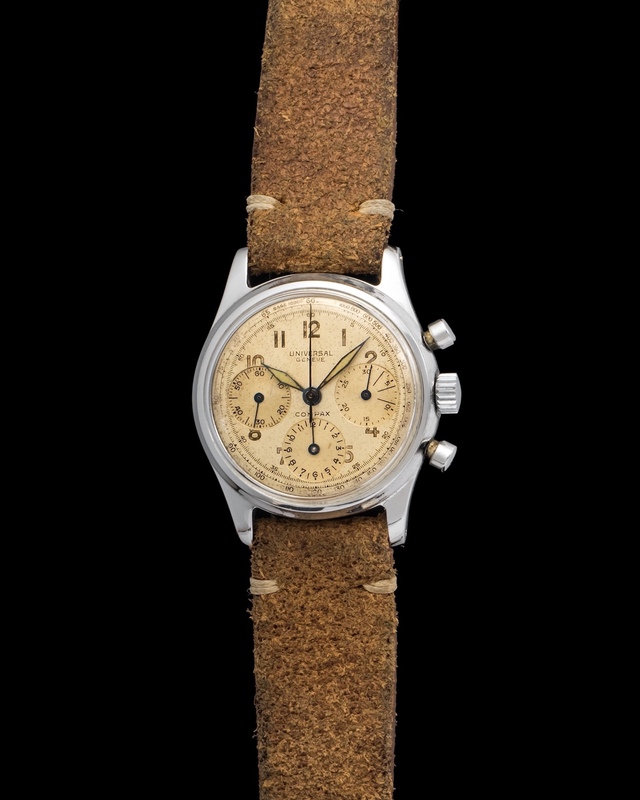 It’s amazing that during the height of WWII Universal Genève was developing high-grade chronographs such as this one. The dial is evenly faded with the hour and minute markers matching it.